When the final figures are tallied, 2018 is expected to be a record year for forklift sales – bigger even than 2017, when global sales reached 1.334 million units. China has been a significant contributor – both as a producer, but also as a huge market, accounting for 500,000 units in the first 10 months of 2018, according to industry reports. The market growth has come against a backdrop of significant trade tensions, sparked by the imposition of a 25% tariff in the United States on 1,300 types of Chinese imports, forklifts among them. The tariffs started hitting home by July, when importers ran out of inventory and started selling product on which the tariff had been imposed. Prices of the entry-level Chinese machines started to rise, and by September, prices of US-made equipment started rising, with Crown Equipment Corporation among the first to move. Prices were driven up by the increased cost of steel and aluminium – also affected by the import tariffs. As we enter 2019, uncertainty about trade relations between the US and China continue. But this is not the only geopolitical conundrum: the looming exit of the United Kingdom from the European Union is also casting a shadow over the materials handling sector. Materials handling production and sales in Europe continue to rise steadily, with the major manufacturers reporting positive trends in their latest half-year results. This reinforces a trend documented by the FEM manufacturers' group, which estimated the market value at EUR62.4 billion (USD72.5 billion) in 2016 - the highest since pre-GFC records of EUR77.2 billion (USD89.8 billion) in 2007. Many in the industry are concerned about the UK's departure from the EU. Immediate impacts have been the Euro-Sterling exchange rate and delayed decisions on fleet expansion on both sides of the English Channel. Toyota Industries Corp has held onto the top spot in Modern Materials Handling's 2018 ranking of the largest forklift manufacturers. The Japanese giant saw its revenue rise 33% to USD11.4 billion - almost double the performance of second-placed KION Group (USD6.763 billion), where revenues grew 15% in US dollars, and 8.2% in Euros, with sales of 201,000 units in 2017. Germany's Jungheinrich rose from fourth to third spot, with revenues of USD4.12 billion. Mitsubishi Logisnext which represents the combination of Mitsubishi Nichiyu and UniCarriers and had revenues of USD3.8 billion came in fourth. Crown Equipment Corp. with a turnover of USD3.08 billion and Hyster-Yale Materials Handling reporting USD2.885 billion followed. Anhui Forklift Truck Group, ranked seventh, was the top Chinese manufacturer, with revenues of USD1.347 billion associated with its brands, including Heli. It was followed by Hangcha with revenues of USD1.077 billion. Korea's Doosan Industrial Vehicle and Clark rounded out the top 10. During the year, there was plenty of black ink, with rising sales, profits and orders reported by major players each quarter. Jungheinrich continued to grow in the first nine months of 2018. Revenue and incoming orders increased considerably year on year and point to another successful financial year. More than half of the strong year-on-year growth in North America was attributable to a significant increase in orders for IC engine-powered counterbalance trucks. The warehousing equipment product segment recorded global growth of 17% or 78,000 trucks, with over 40% of this attributable each to Asia and Europe. Rival KION continued to benefit from a healthy global market for industrial trucks and supply chain solutions, registering a notable increase in orders over the first nine months of 2018. At EUR6.369 billion (USD7.25 billion), the total value of order intake in the first three quarters of the year was up by 11.8% on the same period last year. The rise would have been higher - 15% - had it not been for negative currency effects. KION’s order book as of September 30 was up 23.6% from the end of 2017. Cargotec ended its third quarter with strong orders, rising 23% to EUR921 million (USD1.041 billion). "Cargotec's third quarter operating profit excluding restructuring costs remained at the comparison period's level, despite Hiab's operating profit declining by almost one third," said CEO Mika Vehviläinen. In the US, Terex reported solid performance. "Our global team continued to execute well and continued the trend of improving overall performance," said John L. Garrison, Terex president and CEO. "We increased sales and backlog in all three segments and increased production to meet strong global demand." The big players were surprisingly quiet in the acquisition stakes in 2018, after some dramatic purchases in the preceding years. It looks like most of the major forklift groups are now focused on integrating their logistics and warehousing solutions acquisitions and rationalising their production and distribution networks, which now increasingly include Asian (mostly Chinese) manufacturing facilities and low-cost brands. 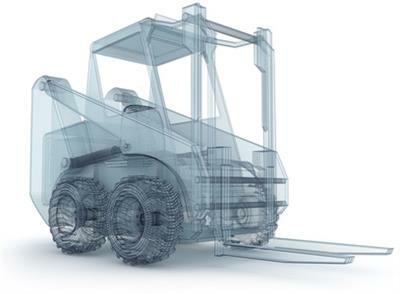 In June, Hyster-Yale Materials Handling completed its acquisition of 75% of the outstanding shares of, and a controlling interest in, Zhejiang Maximal Forklift Co., Ltd. The purchase price of USD90 million was funded using Hyster-Yale's cash on hand. As a result of the acquisition, Zhejiang Maximal Forklift Co., Ltd. has been renamed Hyster-Yale Maximal Forklift (Zhejiang) Co., Ltd. Current Maximal management has retained the remaining 25% interest in the new entity. Another notable acquirer was Dutch aerial work platform (AWP) and telehandler rental and sales specialist Riwal, which kicked off 2018 with the integration of AFI GmbH, which was acquired in May 2017, into its organisation. 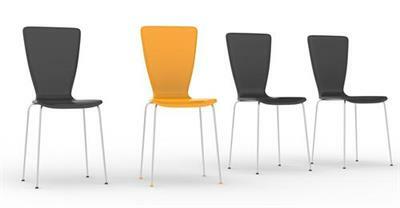 The company went on to extend its depot network in Germany by acquiring rental company Adam GmbH. Hiab also completed its acquisition of Effer S.p.A. from CTE Group. For Hiab, as the global leader in on-road load handling solutions, this acquisition means a significant advancement in its ambition to be the leader in cranes and preferred partner for its customers. Effer, headquartered in Minerbio, Italy and with approximately 400 employees, is a renowned premium knuckle-boom crane manufacturer. Effer's product range includes truck loader cranes, special application truck cranes, and marine cranes, with particular emphasis on heavy cranes. 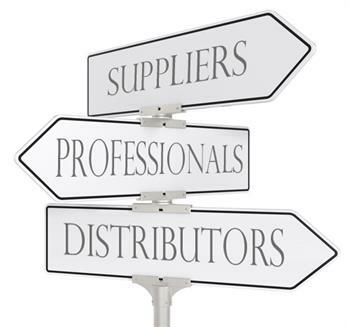 Distribution is managed through a network of more than 100 dealers covering around 60 countries. Acquisitions at the smaller end of the scale included SencorpWhite, which bought Minerva Associates in a strategic merger designed to expand its complete warehouse logistics system solutions for the global market. The trade show season got off to a bumper start, with Modex held in Atlanta, Georgia in April and attracting 30,000 visitors. MHI CEO George W. Prest said the fourth edition of the Atlanta show expanded to around 280,000 sqft. (26,000 sqm) and over 900 exhibits. The hot topic at MODEX 2018 was workforce, according to Prest, who said many of his conversations centred around the skills shortages in the logistics and materials handling sectors. Technology was the dominant issue in the 2018 MHI Annual Industry Report released at the show. The report identified trends including the rise of robotics and automation, increased use of predictive analytics, the use of sensors as part of the Internet of Things (IoT), application of artificial intelligence and increasing adoption of driverless vehicles and drones. Indeed, there was a record turn-out of AGV manufacturers on the show floor. Meanwhile, the flagship global CeMAT event was held in conjunction with the giant HANNOVER MESSE for the first time. Separate attendance figures for the logistics and materials handling show are not available, but the combined events drew 210,000 visitors and 5,800 exhibitors. There were a significant number of product launches among the materials handling displays, and the IFOY award, held during CeMAT, recorded the first-ever tie when the ECE 225 from Jungheinrich and the Wegard Trail from the Hamburg start-up Wegard took out top honours in the Warehouse Truck of the Year category. The new RX 20 from Hamburg-based STILL was voted best counterbalance truck of the year and Jungheinrich won a second IFOY Award in the Special of the Year category with the cross-technology SLH300 battery charger for industrial trucks. Among the notable absences from CeMAT was Linde, which staged its own event, the World of Material Handling (WOMH) show in Mannheim, near Frankfurt, attracting around 5,000 customers, dealers, journalists and media representatives from around the world. The exhibition included approximately 170 vehicles, with around 250 employees on hand to explain the offerings, answer questions and engage with current and potential Linde customers. Christophe Lautray, Linde’s chief sales officer, said that his company was again staging its own stand-alone event rather than participating in the recent CeMAT show in Hannover: "We didn’t want another trade show where you can only showcase one or two products and spend only five minutes with one customer before you have to talk to the next one." The 16th LogiMAT International Trade Show for Intralogistics Solutions and Process Management was held in Stuttgart in March, with a 10.2% increase in visitors (55,300 industry professionals) and a 13% rise in exhibitors (1,564). "We are delighted that visitor numbers continue to show strong growth, building on the already high level of LogiMAT and exceeding expectations once again," said Peter Kazander, managing director of EUROEXPO Messe- und Kongress-GmbH in Munich, which organises LogiMAT. "The enduring popularity among industry professionals and exhibitors is what gives this type of event its value. With these latest results, LogiMAT in this 16th edition once again underscores its position as the world's most important industry event for intralogistics." Also classed as a record-breaking success was the ninth International Trade Fair for Construction Machinery, Building Material Machines, Mining Machines and Construction Vehicles (bauma China) held from 27-30 November at the Shanghai New International Expo Centre. The event attracted 3,350 exhibitors from 38 countries and regions, an increase of 13% from the last show. The exhibition was expanded with two new halls and attendance was up 25%, with 212,500 visitors entering the gates. It was a significant year for Cascade Corporation, which celebrated its 75th anniversary. First opened as a small, five-man machine shop in Portland, Oregon, Cascade has since grown into a global operation with manufacturing plants, distribution centres and offices around the world. 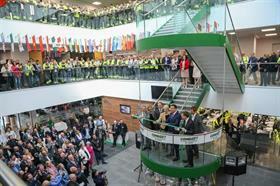 Cascade now employs over 2,100 people in 21 countries. Anhui Forklift Group Corporation, maker of HELI equipment, marked its 60th anniversary at an October event at its headquarters in Hefei, China. The event, themed as "more HELI, more future", included a comprehensive review of the history of its 60-year development. The ceremony also featured the arrival of the millionth HELI forklift, which was delivered to a representative of Shanghai International Port Group Co, a strategic customer of HELI products in its key construction projects. 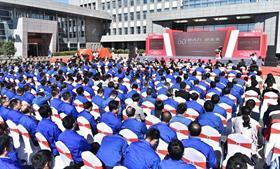 In July, Doosan celebrated the 50th anniversary of its foundation. DIV, founded in 1968, started manufacturing forklifts for the first time in Korea. It also launched the first electric forklift in the country in 1979 and expanded its business to overseas markets by establishing operations in the US, the UK and Belgium. It currently has factories in China and Germany. In September, Crown Equipment Corporation marked 40 years as a leading provider in the Asian market. Crown set up operations in South East Asia in 1978 with the regional headquarters now located in Singapore. The Asia Pacific region is serviced through an extensive retail branch network, which includes locations across Australia, New Zealand, Singapore, Thailand, South Korea, the Philippines, Indonesia, Malaysia, Vietnam, Taiwan and Mainland China. 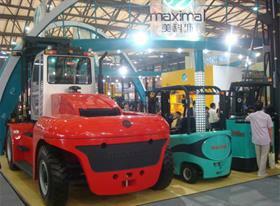 South African hire company A Square Forklift celebrated its 20th anniversary. A Square Forklift was founded in 1998 when owner Craig Bradford saw the need for a forklift rental service in Alberton and Johannesburg South. Forklift manufacturer and materials handling solutions provider Combilift officially opened its new global headquarters and manufacturing facility in Monaghan, Ireland. Celebrating its 20th anniversary last year, the company also announced that it will be significantly expanding its workforce with the creation of 200 new jobs in the next three years. Speaking at the opening ceremony, Irish Prime Minister An Taoiseach Leo Varadkar said: "Combilift is an incredible home-grown Monaghan success story. When the company was founded 20 years ago, it had three employees, a brilliant concept and the ambition to make it a reality. Combilift is playing a significant role in Monaghan’s success, and I would like to congratulate Robert Moffett and Martin McVicar and everyone at Combilift on their achievements to date and wish them every success for the future." Built at a cost of EUR50 million (USD60 million), the new 46,500 sqm facility will allow Combilift to realise its ambitious growth plans. In February, Bobcat celebrated the 60th Anniversary of both the company and the Bobcat skid-steer loader this year. Sixty years ago, Melroe Manufacturing Company, the forerunner to Bobcat Company, introduced a compact front-end loader that evolved quickly into the M-400, the world's first true skid-steer loader. The M-400 later adopted the Bobcat brand and its success created the global compact equipment industry we know today. Over the last 60 years, the company has gone through many changes, but it has maintained its market leadership, claiming that one in every two skid-steer loaders sold is still a Bobcat machine. STILL marked production of its 200,000th RX truck, making it the best seller in the company's history. The landmark vehicle, a new RX 2, was recently handed over to the Ulmer Seifert Logistics Group. It will be deployed in Ulm by the international freight forwarder and contract logistics service provider. The RX series with its distinctive orange-silver design began in 2003. In October, the Jungheinrich Used Equipment Centre delivered its 50,000th forklift. The milestone vehicle was a Jungheinrich EFG 216k counterbalance forklift. Julien Caloud, sales manager at Jungheinrich in France, received the vehicle as part of a ceremonial handover at a vineyard in Radebeul, near Dresden. Jungheinrich has been restoring second-hand industrial vehicles at its site on the outskirts of the Saxon state capital since 2006. Sadly, the industry lost a number of noted figures during 2018. 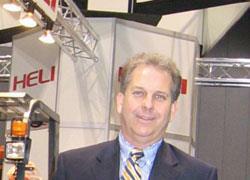 The most recent was Bruce Pelynio, CEO of Heli Americas. He was killed in a light plane crash in Atlanta last month, along with Wei Chen, founder of Heli parent company Sunshine Enterprise. Bruce had over 35 years’ experience in all phases of the materials handling industry, including management and ownership positions with Fortune 500 Companies including Allis Chalmers, Maine Rubber International, Toyota Industrial Equipment and Yale Materials Handling. He started Heli Americas in January 2007 with Dobbs Management Services of Memphis, as the distributor for Heli Material Handling Equipment for a vast portion of the United States and Central America. When Sunshine Enterprise purchased a controlling interest in Heli Americas in 2010, Pelynio stayed on to assist the Heli Americas operation in its continued growth and success in the materials handling market in the US. Bruce maintained a strong presence in the materials handling industry through long-term participation in industry associations including Industrial Truck Association, Material Handling Dealers Association, American Rental Association, and the American Trucking Association. In November, James Drury ‘Jim’ Schell passed away in Bronson Battle Creek after suffering a heart attack. The materials handling industry will remember Jim from his various roles at Clark Equipment Company, where he spent most of his career. He moved with Clark from Battle Creek to Lexington, Kentucky, where he helped establish the engineering labs. He was the director of engineering operations and forklift safety and the safety director for North America and is credited with many safety innovations still in use today. The same month, CFTS, the body behind the UK forklift industry’s Thorough Examinations standard, paid tribute to its valued technical manager, Shaun Prendergast. Prendergast passed away after a period of illness, surrounded by close friends and family. He had a wide and varied career, which began while serving with HM forces in the UK and abroad. He joined CFTS in July 2012, and with his fellow technical manager, Matthew Kennedy, successfully increased awareness, understanding and coverage of Thorough Examinations throughout the UK and Ireland. William G. Billard, president of the former W.T. Billard and MHEDA’s 1995 president, passed away peacefully on 23 July 2018. Bill was a leader, mentor and friend to many and helped to guide the association during a time of transition following the retirement of Dan Reilly and the hiring of Liz Richards, current CEO of MHEDA. Those who knew Bill will remember him as a warm and caring gentleman and a successful industry professional. His company was a leader in Southern California for materials handling equipment from 1942 to 2002. In January, SJF Material Handling founder Gerald ‘Jerry’ Sterner passed away, shortly after being diagnosed with pancreatic cancer. Jerry opened the business in 1979 as SJ&F Enterprises and was a very active participant in every facet of the business until his retirement, when he turned the reigns full-time over to his sons. Jerry’s business interests besides SJF included Sterner Lighting and Sterner Industries.